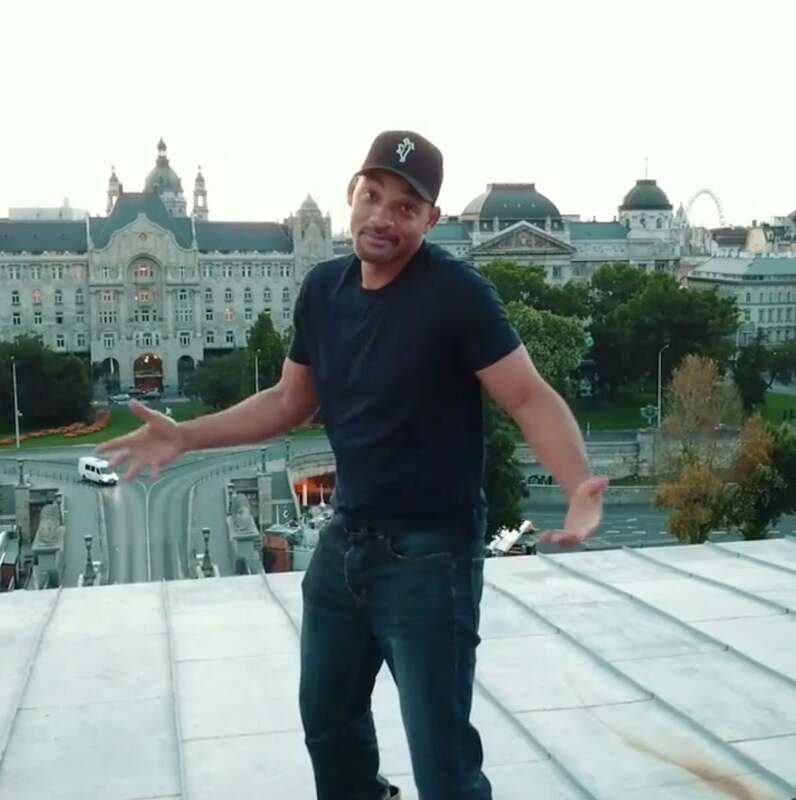 Nobody takes a vacay selfie quite like Will Smith. Here's how to make yours win too. Solo travel is on the rise, with more and more travelers indulging in solo leisure travel in order to relax and unwind. There aren’t too many downsides to traveling alone, except when it comes to doing it up for the ‘gram. From figuring out how to capture more than just your face in the shot, to side-eyeing that stranger that offered to take your precious iPhone and snap it for you, figuring out how to capture your solo travel memories can be draining. Fortunately for us, actor Will Smith has become a master at capturing selfies on his vacations. Whether he’s in Dubai or Australia, Smith knows how to capture the moment. Here are a few things we can learn from his global photo fests that will have capturing dope vacation memories Fresh Prince style in no time. If there’s one thing Will Smith knows, it’s angles. The actor is able to take amazing solo shots because instead of focusing on straight on shots that might just capture his face, he uses angles to capture the sights as well. Whether he’s going high, or popping in from the side, Smith makes sure he gets the perfect shot every time. If you notice, the Bad Boys star rarely takes a photo in bad lighting. Smith’s photos tend to have really good natural lighting which make his photos appear really crisp and clean. It may take some maneuvering to find (or even waiting for a weather change), but finding the right lighting for that perfect selfie will have your skin glowing and make every photo a winner. The best tip we can learn from Will Smith is to not take ourselves too seriously. Taking photos and video of your solo adventure don’t have to be an overly curated, serious process. Have fun with the moment, play around, make a silly face or invite a few new friends to join in. Enjoying the process makes the capture more authentic and a memory you will enjoy for years to come.